Convalmore Scotch Whisky Distillery was built in 1894 in the Speyside region of Scotland. The distillery is now closed. No other contact information is available. 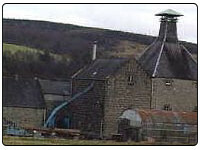 Like Coleburn this distillery produced blends mostly until it was closed and again release a few single malts. The final own of this distilery was Diageo.